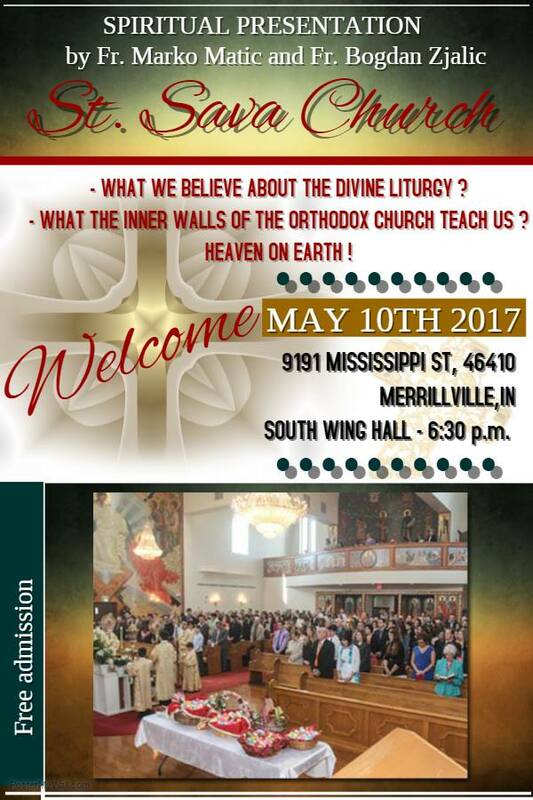 Father Bogdan Zjalic and Father Marko Matic will lead a discussion about “what we believe about the Divine Liturgy” and “what the inner walls of the Orthodox Church teach us” as part of the ongoing discussion series focusing on the Orthodox Faith Wednesday, May 10 at 6:30 p.m. at St. Sava Serbian Orthodox Church, 9191 Mississippi Street, Merrillville, Indiana. The discussion series session provides an opportunity for everyone to gain new perspectives in the Orthodox Faith, including people currently participating in the Orthodox Faith and people from the community who are curious to learn more about the Orthodox Faith. The sessions are free and open to everyone. The sessions will take place in the South Wing Social Center at the south end of the main Church building near the parking lot entrance. The discussion series has been taking place monthly on the first Wednesdays since the beginning of the year and continues with this session in May. This special discussion series is being launched as result of a successful event earlier in January 2017 where Father Bogdan Zjalic presented the topic, “Human Relationship with Jesus Christ” with more than a dozen people attending to listen to the presentation and ask questions. 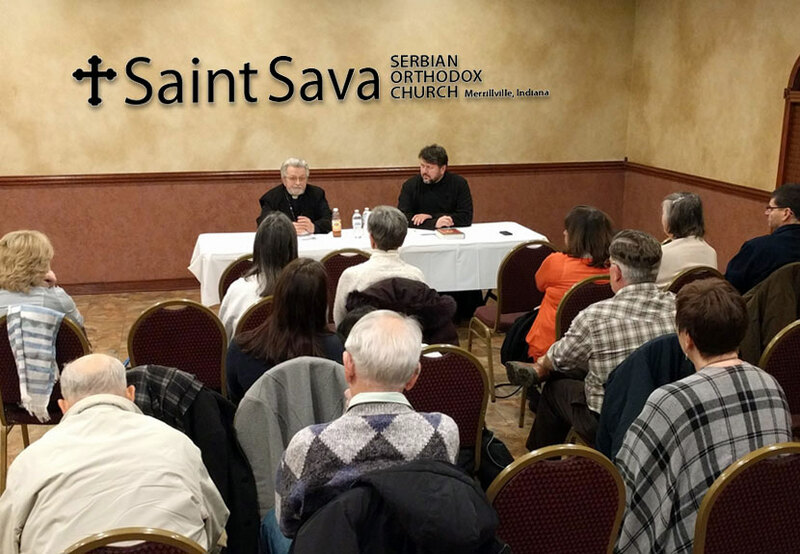 This special discussion series is also one of several new initiatives that have taken place in recent months at St Sava Church in Merrillville that provide opportunities for members of St. Sava, members of other Orthodox Churches, and community members to engage in unique spiritual and cultural learning opportunities. Such opportunities have included learning about the history of the Cyrillic Alphabet, participating in a class to learn how to read and write the Cyrillic alphabet, and a Serbian Language class currently in session that is teaching participants the basics of conversational Serbian Language. For more information about this discussion series, please send e-mail to ivana.stankovic@saintsava.net.